A nutritious breakfast, lunch or dinner for both kids and adults alike. Indian lentil crepe with Egg and Quinoa. Easy to make & quick with simple ingredients. Classic Cheese omelet made a tad bit healthier. Easy to make with simple ingredients. 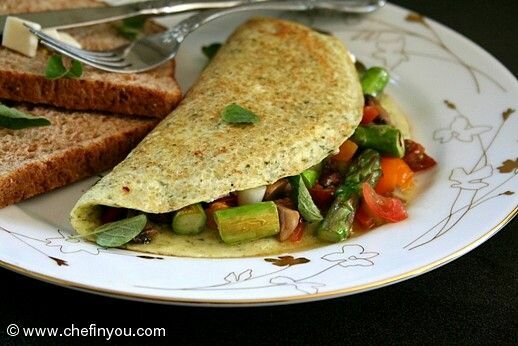 Healthy Egg white Omelet gets an additional nutritional bump with the addition of Quinoa. Summer vegetables, pesto and cottage cheese make it a complete bliss.